The Academy unveils new Oscar plans; solo movies for Supergirl, Black Cat, Silver Sable, and Jackpot; and new roles for Jessica Chastain, Eddie Redmayne, Tessa Thompson, and Ruth Negga. Today’s Ketchup brings you ten headlines from the world of film development news, covering titles such as Birds of Prey, Black Cat, Supergirl, and Spider-Man: Far From Home. We obviously don’t want to get into too many details here for people who still haven’t seen this year’s $2+ billion #1 box office champion, Avengers: Infinity War. If you did see the movie, you might recall that the final scenes were controversial and possibly bewildering for fans not familiar with a) how Infinity War was resolved in the comics or b) what Marvel Studios has planned for 2019. 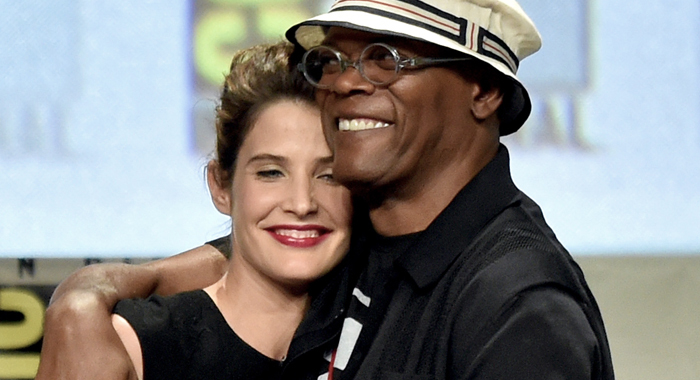 Having said all that, if you if you sat through the credits of Infinity War, you saw Nick Fury calling for assistance from Captain Marvel (3/8/2019), and with that in mind, Samuel L. Jackson and his post-credits co-star Cobie Smulders are both returning for Spider-Man: Far From Home, the sequel due out on July 5,2019. Marvel and Sony are mostly doing a good job of not giving away the entire premise, except that we do know that Jake Gyllenhaal is playing the film’s villain, Mysterio, and that Far From Home might have more than one meaning for Tom Holland’s Spider-Man. 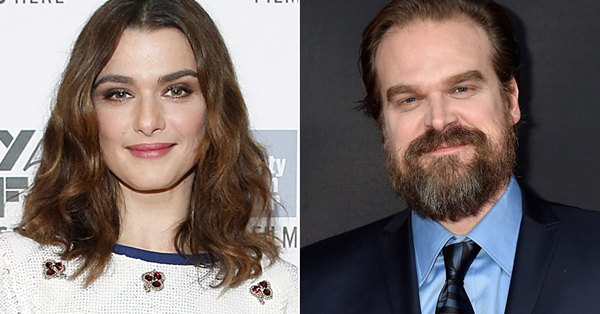 What do you think Nick Fury and Maria Hill appearing in Spider-Man: Far From Home means for Avengers 4, Spider-Man: Far From Home, and what actually happened in Avengers: Infinity War? Although some “middle ground” genres like rom-coms and mid-budget dramas are slowly fading away from the big screen (going instead to Netflix and cable TV), movies based on true stories do still continue to get produced. This is partly because they’re frequently considered to be “awards friendly.” Eddie Redmayne (Academy Award Best Actor winner for The Theory of Everything) and Jessica Chastain (nominated twice for The Help and Zero Dark Thirty) are both among the most recognized of today’s actors, and they are now teaming up for a true story thriller called The Good Nurse. Adapted from a book by Charles Graeber, The Good Nurse will tell the story of Charlie Cullen, a New Jersey nurse who used his occupation to carry out the murders of an estimated 300 to 400 patients from 1988 to 2003. Redmayne will play Cullen, and Chastain will play a fellow nurse “whose dogged pursuit helped end the killing spree.” Danish screenwriter-director Tobias Lindholm (A War; co-writer of The Hunt) will make his English-language debut with The Good Nurse. After being a critical darling in 2016 with the newswoman suicide biopic Christine (88% Certified Fresh), British actress Rebecca Hall had another big year in 2017 with another biopic, Professor Marston and the Wonder Women (Certified Fresh at 87%). Hall, whose maternal grandfather is of African-American and Sioux descent, is now preparing to make her directorial debut with an adaptation of the Nella Larsen novel Passing, which takes it title from the practice of “passing,” in which a person of one racial background is able to “pass” as a member of another racial group. Tessa Thompson (Creed, Thor: Ragnarok, Westworld) and Ruth Negga (Loving, TV’s Preacher) will star in Passing as two high school friends who reunite in the 1920s of the Harlem Renaissance, as they discover how much their lives have diverged since. Published in 1929, author Larsen’s novel is considered a key work in the Harlem Renaissance movement. Until recently, Sony Pictures had been planning to follow up Venom (10/5/18) with Silver & Black, a Marvel Comics adaptation uniting the Spider-Man supporting characters Black Cat and Silver Sable. Silver & Black had been scheduled for February 8th, 2019 until the start date of filming, which had been scheduled for early 2018, was cancelled (Sony also never announced their two female stars). It turns out that Sony decided to give both Black Cat and Silver Sable their own movies instead, as solo movies for both are now in development. Black Cat and Silver Sable now individually join a growing Marvel Comics development slate at Sony Pictures that also includes Morbius the Living Vampire (starring Jared Leto), Kraven the Hunter, Nightwatch, and Silk (as well as Spider-Man: Into the Spider-Verse and Spider-Man: Far From Home). Sony’s big screen plans for Silk, Black Cat, and Silver Sable are also now being joined by Jackpot, a more obscure character (who is actually two characters). Sony now needs to figure out how to distinguish Black Cat from Catwoman, and exactly what sort of movie Silver Sable can be (and whether there’s an avid audience for either). In related news, Sony Pictures is also reportedly now open to seeing more of “their” Marvel characters included in Marvel Studios’ MCU (like Spider-Man). 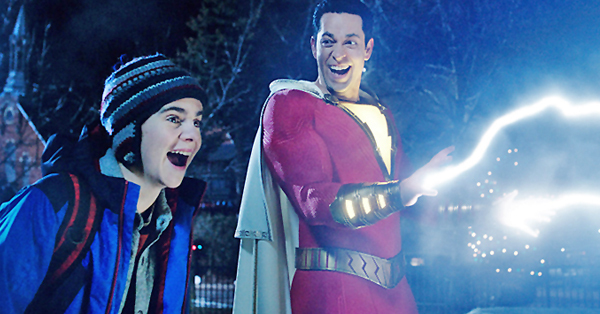 These sort of corporate shifts don’t happen overnight, but Warner Bros. is clearly moving their DC Comics adaptations away from being so “grimdark.” Aquaman (12/21/2018), Shazam! (from WB subsidiary New Line Cinema, 4/5/2019), and Wonder Woman 1984 (11/1/2019) all seem clearly aimed at delivering superhero fun akin to Marvel Studios fare. We’ll obviously still get DC Comics movies that are maybe a little darker (like the Joker solo movie), but the new movies being put into development lately seem more like Supergirl. The CW has had success with their Supergirl TV series (after rescuing it from CBS), and now she’s getting her second chance at a movie after being a huge flop in the 1980s. Supergirl has such promise that we’re willing to overlook that screenwriter Oren Uziel only has one Fresh score (22 Jump Street), versus Shimmer Lake (56%), The Cloverfield Paradox (17%), and 2015’s Freaks of Nature, which wasn’t even seen by enough critics to get a Tomatometer score (all four critics who did review it marked it Rotten). Along with Batgirl, Supergirl might also signal that Warner Bros might adapt other female DC Comics superheroes. In hindsight, the obvious breakout star of NBC’s Parks and Recreation was Chris Pratt (though the whole cast is full of stars-to-be like Aubrey Plaza, Aziz Ansari, and Nick Offerman). Another fan-favorite character on was Jean-Ralphio Saperstein, played by Ben Schwartz. Schwartz’s star rose just a little higher this week with the news that he’ll be voicing Sonic the Hedgehog in next year’s live-action video game adaptation. Sonic will (obviously) be a CGI character, but most of the cast will be live action, including Doctor Eggman Robotnik (Jim Carrey) and others played by James Marsden (X-Men) and Tika Sumpter (Southside with You). (Adam Pally from ABC’s Happy Endings and Neal McDonough from HBO’s Band of Brothers also joined the cast this week.) Sonic the Hedgehog is scheduled for release on November 15, 2019, which is the week after James Bond 25 (title pending), the week before Terminator 6, and two weeks before Frozen 2. There has yet to be a video game adaptation that breaks the long history of Rotten scores, but Schwartz’s involvement seems like a fun idea, even if odds are stacked against the movie itself. Batman has a spectacular rogues gallery of villains, with only Spider-Man’s enemies even coming close in the world of comic book superheroes. You can list ten of Batman’s most iconic villains, and you still wouldn’t be close to “obscure.” For that reason, in the various Bat-related comics over the years, there have been plenty of Batman’s enemies that heroes like Nightwing, Robin, Batgirl, and Huntress could take on as their own opponents. Having said that, most fans would be hard-pressed to pick Black Mask out of a lineup (even with his “black mask”), but that’s who Warner Bros. is going with as the main adversary in Birds of Prey, the team-up movie featuring Margot Robbie’s Harley Quinn. The other characters planned to join Harley Quinn in the Birds of Prey movie are Black Canary, Huntress, Cassandra Cain, and Detective Renee Montoya. Perhaps it’s an opportunity for Black Mask to seem new and unique when he eventually shows up, but it still would have been nice if they went with someone more recognizable, so this news is just barely Fresh. 1. THE ACADEMY AWARDS WANTS TO DISTINGUISH “POPULAR” MOVIES FROM, WHAT, “UNPOPULAR” ONES? Inasmuch as the Academy Awards are a major TV event, the ratings do indeed back up the notion that the show is experiencing a decline in viewership. This week showed, however, that there isn’t a unanimous agreement about how best the Academy of Motion Picutre Arts and Sciences might solve this ratings problem. In a letter sent out to AMPAS members, the organization’s board laid out several changes, the biggest of which is the proposal to add a new award for “outstanding achievement in popular film.” The online reactions from those aforementioned members was fiery, with Rob Lowe, for example, tweeting, “the film business passed away today,” and Variety issuing at least two editorial reactions. Other proposed changes include some categories being handed out during the commercial breaks, and limiting the broadcast to three hours, but the idea of a category for popular movies dominated the conversation. CNN Shondaland science fiction Spectrum Originals travel Adult Swim singing competition American Society of Cinematographers Oscars golden globes Quiz Holidays Walt Disney Pictures dceu DirecTV comic Brie Larson Cartoon Network Women's History Month GLAAD Masterpiece Nominations aliens Disney Channel Netflix Stephen King Musicals period drama zombies Election Nickelodeon TNT Cosplay Showtime TV Land romance war PaleyFest psycho Trivia Photos SundanceTV Superheroe vampires dc streaming jamie lee curtis Opinion SXSW casting Musical Extras Star Trek justice league Mary Tyler Moore Marathons LGBTQ Logo Tomatazos TCA 2017 SDCC CBS All Access cops Video Games Ovation medical drama Trophy Talk miniseries 21st Century Fox NBC Rom-Com Red Carpet IFC Films Pirates TruTV Reality Competition Sci-Fi GIFs Fall TV Calendar harry potter Best and Worst Britbox Horror Tumblr television zero dark thirty hist Starz TBS Ghostbusters Awards Tour binge Western Superheroes ABC DC Comics Sundance Now Teen Sony Pictures unscripted Chilling Adventures of Sabrina History FXX RT21 Comic Book TLC PBS Anna Paquin what to watch Acorn TV BET See It Skip It CMT BBC X-Men boxoffice Fantasy Amazon San Diego Comic-Con Mystery Schedule 2015 Christmas festivals witnail composers mockumentary Comedy finale Interview USA Network Trailer 24 frames Paramount Biopics diversity ITV crime drama Toys Super Bowl Rock facebook National Geographic CBS Fox News green book FX Captain marvel Amazon Prime Black Mirror AMC Mudbound 2019 social media Crackle Universal Winners dramedy Animation Sneak Peek Infographic psychological thriller The Arrangement Writers Guild of America ABC Family Warner Bros. OWN Emmys Columbia Pictures Podcast Lifetime nature Kids & Family spider-man Certified Fresh Drama VICE biography First Look elevated horror blaxploitation Action Disney natural history Summer Music Year in Review Nat Geo teaser DC streaming service mutant Spring TV Freeform Box Office sports TIFF Country MCU crime Shudder Martial Arts theme song cults GoT adventure cinemax political drama HBO anime Comedy Central 45 Valentine's Day TCM Grammys anthology Lionsgate TV The CW TCA historical drama Rocky A&E doctor who Pixar robots FOX spy thriller Epix technology Syfy RT History thriller IFC Esquire 007 docudrama USA Mindy Kaling Reality transformers Premiere Dates YA Hulu 2017 VH1 Thanksgiving YouTube Premium Mary Poppins Returns El Rey New York Comic Con sitcom Star Wars Spike Mary poppins CW Seed award winner dragons politics Song of Ice and Fire zombie Unbreakable Kimmy Schmidt NYCC Set visit Dark Horse Comics police drama Comics on TV Winter TV YouTube Red adaptation supernatural President Polls and Games Character Guide Ellie Kemper crime thriller Sundance ratings Bravo Countdown Food Network richard e. Grant ESPN MTV crossover Paramount Network Pop APB Creative Arts Emmys talk show Watching Series cats DGA Awards cooking 20th Century Fox WGN Apple serial killer Marvel based on movie true crime E3 2018 2016 Pet Sematary DC Universe BBC America MSNBC comiccon Lucasfilm sequel discovery E!